Engine hours are unknown. Records were kept the first 5-6 years but have since just maintained a regular seasonal maintenance schedule. There is no hour meter, but the seller says this boat runs like a champ! This beauty has been well maintained, and the only known issues are the horn is not working and the CD stereo recently stopped working. New tachometers and speedometer, New Intake plugs with included custom tools and spare parts. Stock #140161 Yamaha XR1800 Jet boat with 310HP Engine ... One of the Fastest Boats in the Islands! If you are in the market for a jet boat, look no further than this 2000 Yamaha XR 1800, just reduced to $13,000 (offers encouraged). 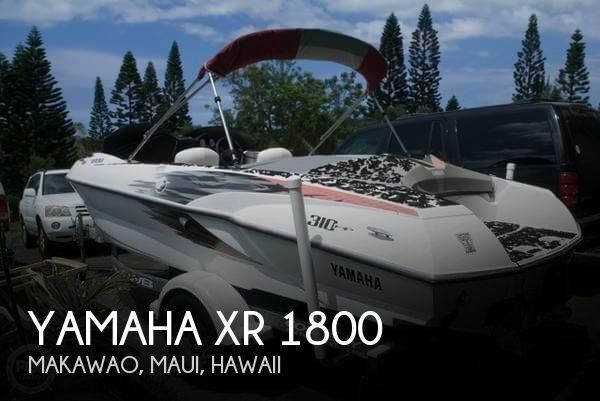 This boat is located in Makawao, Maui, Hawaii and is in great condition. She is also equipped with twin Yamaha engines. Reason for selling is don't use it enough. need the driveway space!. This vessel has been lovingly well maintained by a navy nuclear submarine electrician. The 1997 Yanmar 3GM30F 24 diesel is immaculately clean, fires right up and runs smoothly - please see the video. The deck appears very solid with no soft spots. The bilge is dry, as is evident from the photos. There are no signs leaking, mold or musty smells below deck. The woodwork below deck is in very nice condition. The flooring could use sanding and polish but is otherwise solid. The upholstery in the aft double berth would benefit from being replaced. Seller has a briefcase full of all original manuals, engineering drawings, maintenance records and receipts for the boat, engine, propulsion, and shaft. ALL Known Issues: -- The forward hatch has a small crack. The center hatch beneath the mast got damaged and will need to be replaced. It is currently sealed temporarily and not leaking. -- The windlass is not working. -- Engine exhaust cowls on aft deck will need to be replaced, which is a simple project. -- Engine instrument panel in the cockpit is not working - not showing RPMs or allowing remote start or stop. The engine must be started and turned off below deck. -- Transducer is currently not working. This is an in-water fix. -- Thru-hulls could be replaced at next haul-out with check valves. Seller has two Air Mars. -- The head is currently not working. Macerator is installed and working. All parts to get the toilet functioning again are on board. The toilet will just need to be replaced. All photos from Mid-February 2019. Stock #171404 New Raymarine Seatalk NG Electronics Suite with Integrated Delow Deck Autopilot, Wind, Depth/Speed Sensors, AIS, Quantum Radar! If you are in the market for a sloop, look no further than this 1977 Yamaha 36, priced right at $37,800 (offers encouraged). 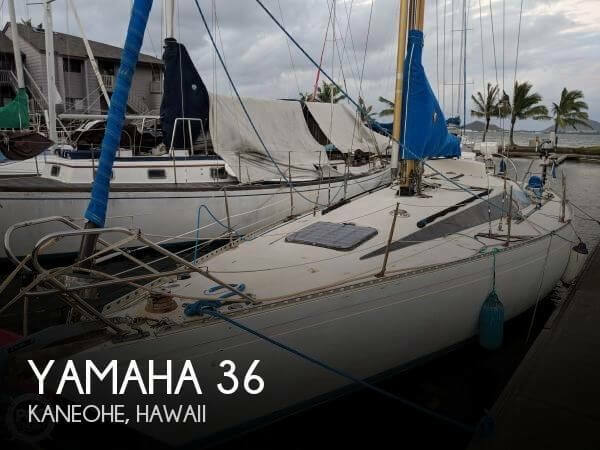 This vessel is located in Kaneohe, Hawaii and is in great condition. She is also equipped with a Yanmar engine. Reason for selling is retiring from military - buying a house.